Eco-learning activity at a local co-op market makes children aware of the impact of their lifestyle on the environment. 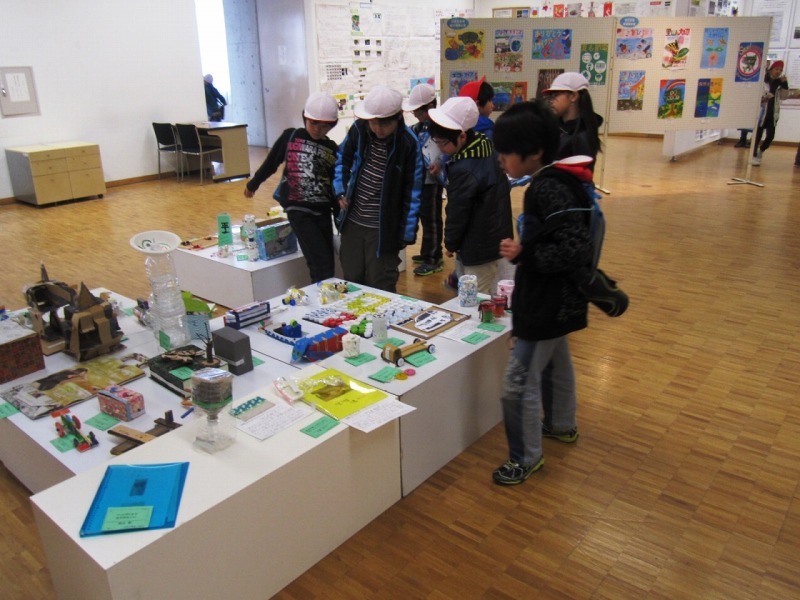 Eco-Panel Exhibition is a perfect venue for kids to enjoy and exchange their opinions on the local environment through hand-made display presentations. Eco-learning activity at a local park gives children and their parents a chance to enbrace the nature so close to your home. Teachers' training session conducted by local business members enhances teachers' knowledge on environemntal protection measures taken by local businesses. Local beaches are havens for various creatures and migrating birds who feed on them. Children learn the importance of bio-diversity and its connection to their daily lives. "I found it there!" Kids enjoy "Nature treasure hunt" game with their parents at the schoolground. Parents act as activity leaders to support and share children's discovery. Local rivers are often forgotten to be recognized as a vital eco-habitat for fish, crabs, shrimps, and many other creatures. "Can you see this bug?" "I know! It is a baby of a dragonfly!" International exchange on a classroom-to- classroom level allows children to have a real sense of compassion and friendship. 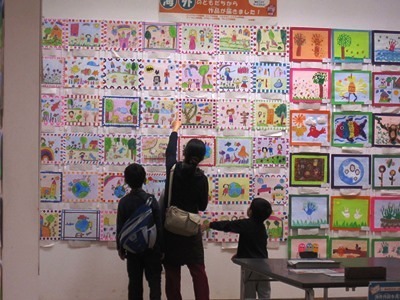 The 21th EWC Eco-Panel Exhibition was successfully held at the Nishinomiya Municipal Gallery with more than 1300 works from local schools and about 900 works from 6 overseas countries; Belarus,Philippines, Indonesia, Kenya, Pakistan, and Latvijas. 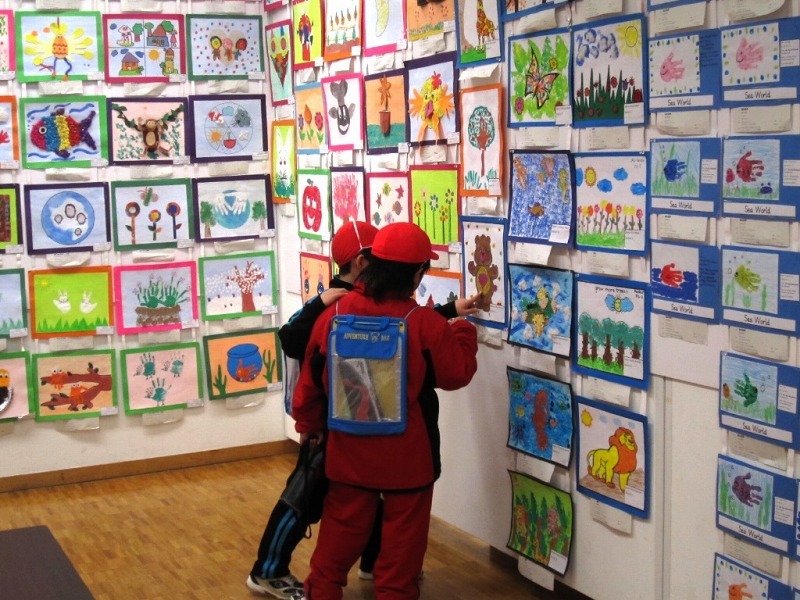 There are drawings, crafts, and activity reports. Visitors were very interested in watching/reading works from different countries and inspired to know more about the world around them.